We are very happy to have the opportunity to speak with you again. There is much activity and many changes occurring on the planet at this time. We want to acknowledge the work that you are doing and we want you to give yourselves a pat on the back to acknowledge this. At times you can be rather rough on yourselves. You question the validity of your actions and choices you are making and do not even realize the growth that has occurred. In these times when you are rushing through life you do not realize how far you have come in such an amazingly short amount of time. Now on to the topic at hand. Cloning. Ah, quite the issue, this one. You could call it a hot topic across the galaxy. There are many species who have dabbled in cloning and always the result is the same. There is a missing element when creating a physical form “outside of the grand design”, if you will. Within a cloned being it is possible for walk-ins to inhabit a body, but the life force energy is always lacking. The physical entity does not operate on the same frequency range as the rest of the planet, so it does not learn the same lessons on a spiritual level. There is the experience of physicality, but not the emotional component that links to mass consciousness. It is an isolated existence. Whole planets have had their developmental plan altered when the number of cloned beings outnumbered those who incarnated naturally; thus they created a secondary grid of consciousness linked to the planet. But the emotional aspect of their development did not resonate with that of the planet itself, which in turn caused great distress to the celestial body. Quite interesting really. And it sparks quite a bit of debate amongst the members of the Galactic Federation. As creators there must be a level of honor and respect for that which you are creating. If it is lacking and the level of spiritual development is not as mature as the technological prowess of the species, then it is doomed to fail. Cloning is not a new endeavor on this planet. Many of you hold memories of the many ghastly cloning experiments from the time of Atlantis. 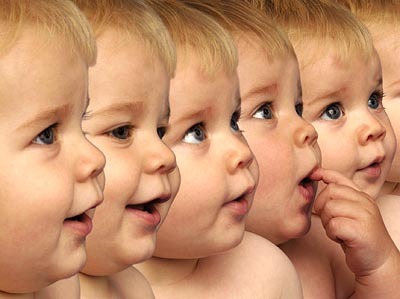 Cloning has a detrimental effect on the natural cycles of a planet including life/death cycles and the food chain. We know this may be a bit hard to fully embrace, but even your plant life has emotional experiences. When you consume food not only are your cells nourished by the molecules within the plant, but you absorb the plant’s emotional state as well. This is also true of animals and your consumption of them. When you ingest an animal that has been traumatized, that experience is absorbed by your emotional body. By “blessing” or giving gratitude for your food, you are sending directed energy to the food which alters its frequencies before consumption. When sent the frequency of love, its frequency will alter to match. Unlike a union of chromosomes in a laboratory that has been stimulated by electrical current, the natural union of cells generates an emotional body. All of the information and history of the genetic line from both parents is passed down in this field. As you continue to grow, you absorb information about the world around you and connect to the energetic centers of the Earth. However, when the union of genetic material occurs in a laboratory, that spark is missing. An emotional body does not form until much later. If in vitro fertilization occurs the emotional body is created solely from the mother’s emotional experiences while in the womb. Most of the genetic memory of the father is lost. You may think of it as receiving a bad fax transmission. The poor quality of the information does not allow you to read the message. For those of you who have had children through in vitro fertilization, not to worry. Your child will adapt to the energy of those around him. But know his perception of reality will be slightly different. And at this time on Earth, new perceptions allow you to move beyond current limitations. So the timing of this technological ability is perfect – as are all things. When cloning occurs, there is no possibility to transfer the emotional body. The copy is so poor that nothing can be read. This in turn leads to the creation of an emotional body that is out of sync with that of the other creatures on the planet. Because of the missing “data” it holds a much different frequency. The issue at hand for you now is that of cloned animals being introduced into your food chain. Well, we hate to tell you this but its resonance is not far off from what you are already ingesting. Your genetically modified foods are very similar in vibratory rate. That is to say that the “emotional” body of the food does not resonate with that of other naturally occurring foods on your planet. Unless consciously altered, the frequency of the food you are ingesting is lower than your own requiring your body and emotional field to process the “toxins”. If it is your intention to raise your frequency, we recommend that you avoid these foods, both cloned and genetically modified, altogether. We caution you on your quest to create life outside the “natural order”. Cloning is mass consciousness’ ultimate expression of its need to control. Out of fear of the unknown you try to harness the ultimate “power”, life itself. So we challenge you to look in your darkest places and release the fear. For you truly are in complete and total control. But from your limited perception of reality, you cannot see it. It is time to move beyond. Mass consciousness is beginning to comprehend the notion that they are in control of their destiny. That is why you are seeing the Law of Attraction being talked of so frequently in many of your books and movies. Again you have duality, finding a way to express itself and returning to balance which is what this dimensional shift requires. The negative expression is cloning. The positive, the comprehension of the Law of Attraction. When you realize that you can create at will, you let go of fear. Nothing is insurmountable. You make course corrections and move closer to your goals learning how to read the “road signs”. You are not a lone traveler. There are many of us here, ready and grateful to have the opportunity to give you directions along the way. NEXT POST Next post: How Total is Your Quality Management?